This is an unusual addition to our website – a man made stone intended to resemble Turquoise. 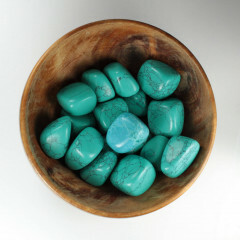 A man made stone, intended to resemble Turquoise – it is not related to Turquoise in any way. We sell this stone purely because we actually find it a reasonably attractive decorative stone. It is likely this stone is comprised of dyed Magnesite. The surface dye does not fully leach into the centre of the stone. Because of that, one easy way to test for it is to cut the stone in half, or to perform a streak test. We have cut one of these stones in half to show the internal dye, and the white centre where the dye has not managed to penetrate. 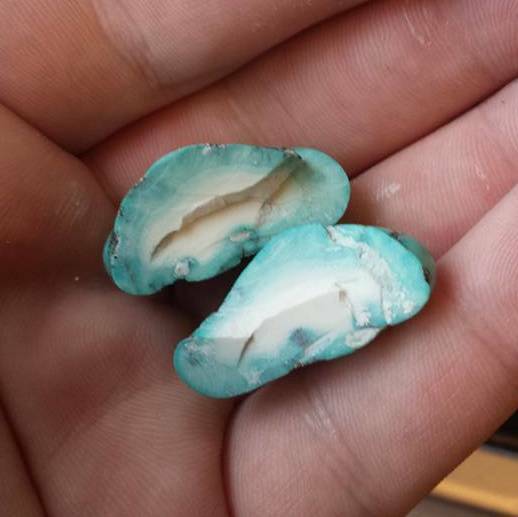 A huge amount of Turquoise sold online is fake. 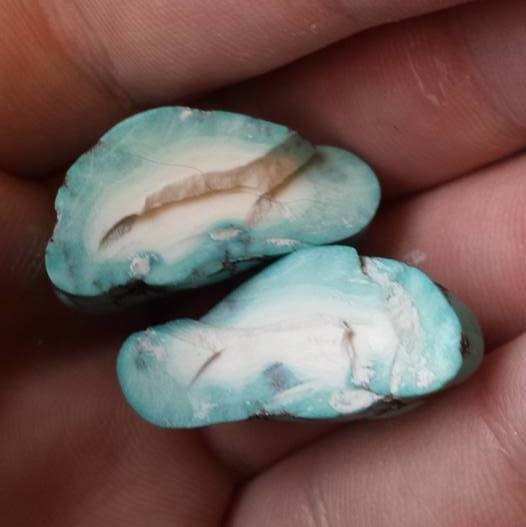 Websites like eBay is absolutely full with fake stones, whether they are dyed Howlite or Magnesite, or a resin. It can be difficult to tell the difference if you are not an experienced purchaser. Even then, some fakes can be difficult to identify without damaging the stone to test it. In these images, you can see the white centre of the stone, which the dye has not managed to reach. This is a clear indication of a manufactured/processed stone.